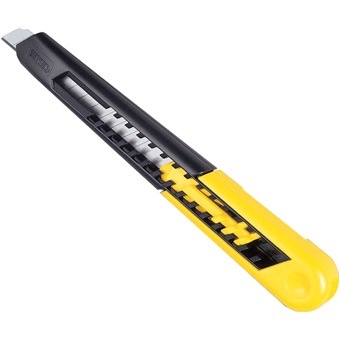 Retractable blade knife with 9mm Quick-Point™ snap-off blades. 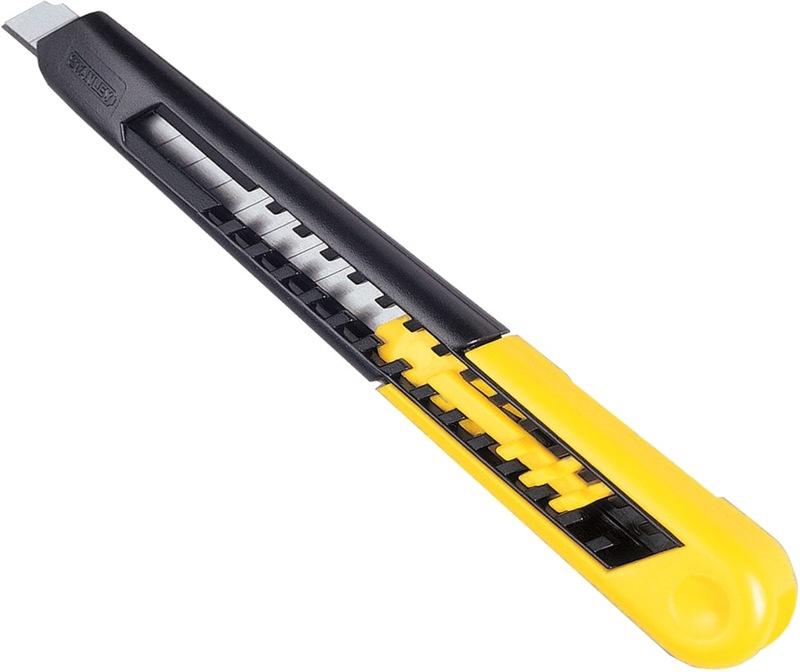 Blade sections snap-off providing the user with 13 fresh, sharp cutting points. Comes with one 11-300 Quick-Point™ blade.